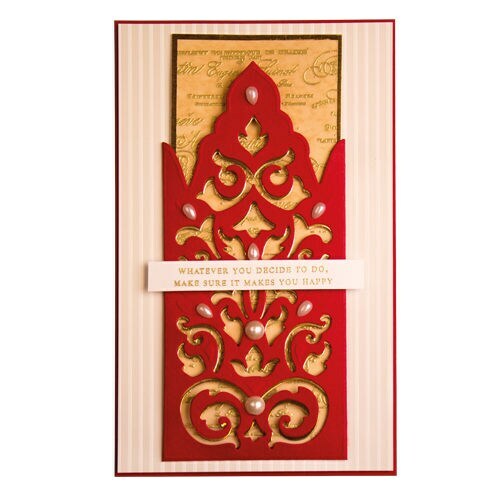 These Shapeabilities Damask Pocket Etched Dies from the Rouge Royale Deux Collection by Stacey Caron is a two piece die set that is a narrow pocket shape. 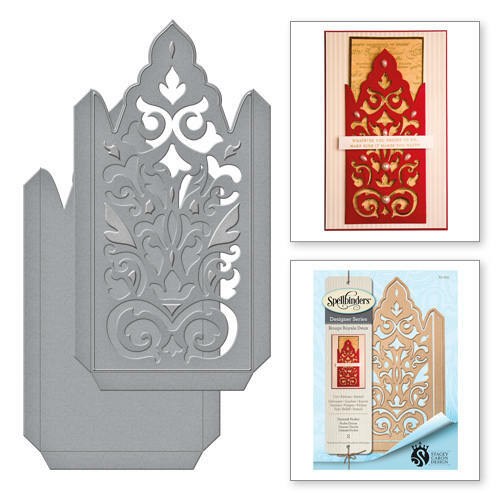 Use with the Pocket die for just a plain pocket feature or nest together with the Insert Die for a more ornate design. The choice is yours. 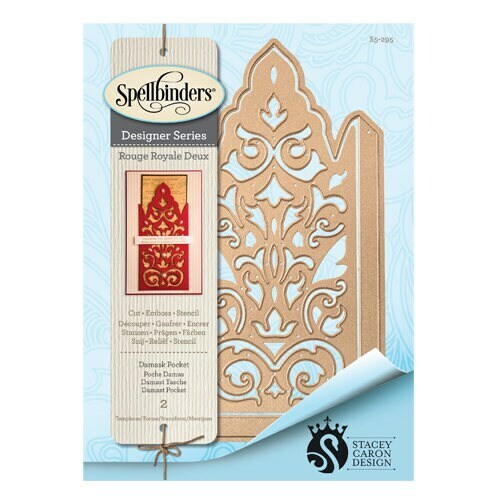 Spellbinders® Shapeabilities® cut, emboss and stencil with a single die template.